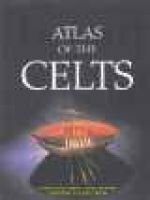 Atlas of the Celts details (in words, illustrations and maps) the history of the Celts, their expansion, decline and modern revival, their art and religion, and their impact on the Western world. It offers the most comprehensive coverage of the Celts. The Atlas of the Celts is arranged chronologically and spread-by-spread and there is a special section on Celtic culture (such as jewelry, clothing and mythology). The conclusion discusses some of the recent debates on Celtic identity. The appendices include: a detailed timeline of key dates in Celtic history, an atlas of Celtic sites and museums, a Who's Who in the Celtic world, drawings of Celtic ornaments, glossaries of Celtic terms and names, a gazetteer, and an index. The Atlas of the Celts includes a foreword by Dr. Barry Raftery, Professor of Celtic Studies at University College Dublin. Dr. Raftery acted as principal consultant editor on the Atlas of the Celts. Additional consultation was provided by Dr. Jane McIntosh of the University of Cambridge. The consultants have ensured that the Atlas of the Celts is an indispensable reference source for home, school and college use. Its maps, color photographs, artwork and diagrams ensure that it will appeal to everybody who is interested in the enduring history of the Celts.